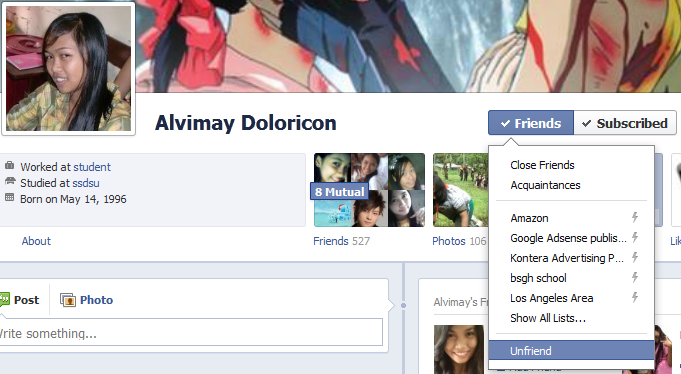 How To Unfriend A Friend From Facebook Timeline? 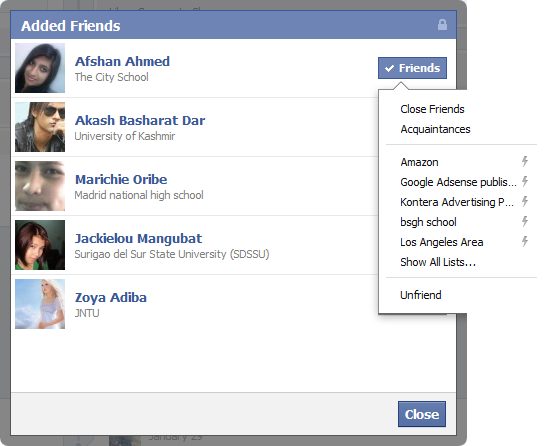 Home More Social How To Unfriend A Friend From Facebook Timeline? There are many changes have been made in Facebook, and one of them is new Facebook Timeline, now people who are not familiar with the new interface of Facebook they often get confused in new Facebook timeline. because the new timeline is quite different from the previous interface of Facebook profile page. When i got my timeline i was also very confused about many option that i was not getting in new timeline like “how to delete a friend from timeline” and “How to edit or delete your likes” that you have liked some times before like your music, videos, movies, games, etc. 1- Go to your timeline on your timeline you will get your profile and your friends list now to delete your friend just go to your friends profile page and look for the option Friends now hover your cursor on it and click on Unfriend option there and you are done this is the first option see the snapshot below. 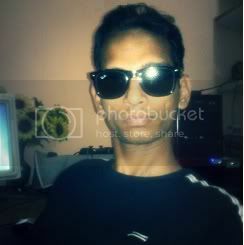 2- The above method may be quit boring and time taking for someone. 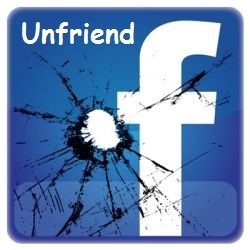 So you can try the second method to unfriend just scroll down your timeline page and find the friends block and click on ‘friends’ see below. 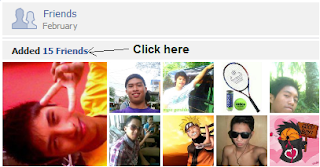 Now you will get your friends list for that particular period like January, February etc. Now hover your cursor to friends option and click unfriend and your friend will be deleted from your Facebook timeline see the snapshot below.